Beat egg yolks in a mixing bowl to a pale yellow. Stir in sugar, salt and buttermilk. Sift together flour, baking powder and baking soda and then fold into yolk mixture. In a separate beat egg whites until just stiff and fold whites into the batter. Heat Ebelskiver pan (given to you by your adopted Granny if you happen to be so lucky or ordered from Amazon ) over a medium low flame. Divide butter evenly between cups and melt. Spoon enough batter into each cup to just fill. 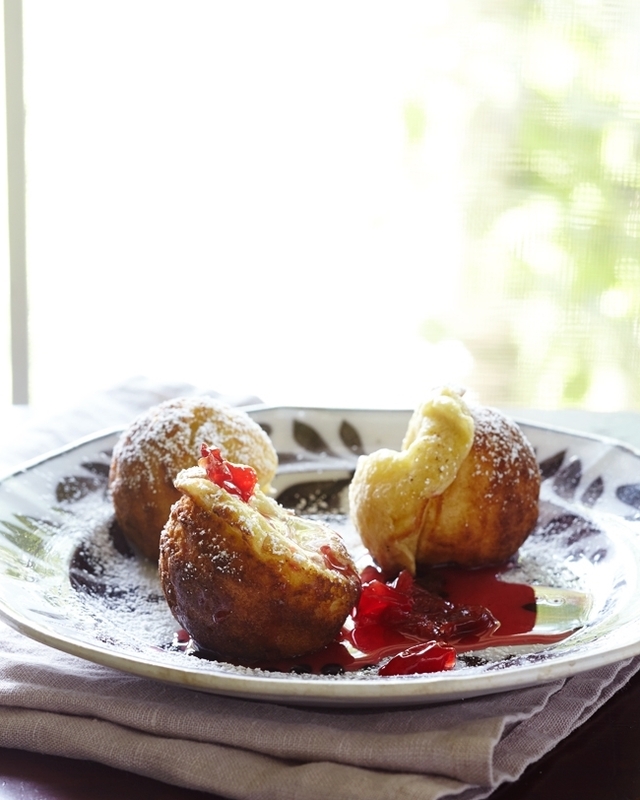 Let cook until Ebelskiver is puffed, golden and set. Use a spoon to remove from pan. Serve hot - with a dusting of powdered sugar and spoonful of jam. Repeat with remaining batter - using more butter as necessary.